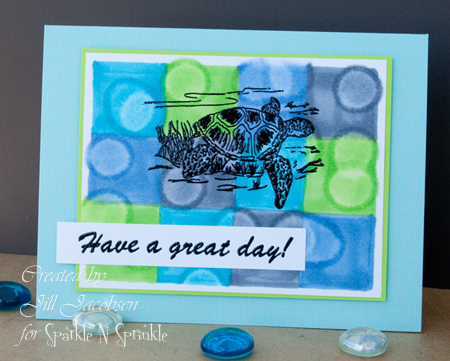 I love when I find new techniques to use with my favorite stamping supplies...and Copics are on the top of the list right now:) Julia Stainton came up with technique. I have made several cards with this technique and love the look. 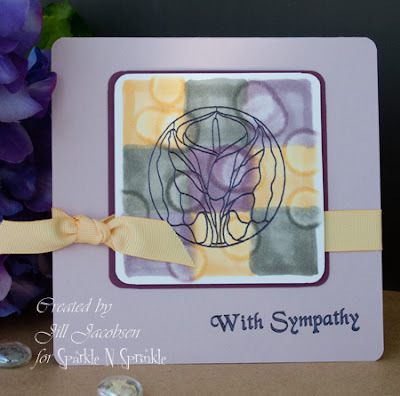 I am also teaching a class with it and you can view the cards and the details of the class here. Here are two of the cards that I have made...all the stamps are from Sparkle N Sprinkle. I have also posted another card on the Sparkle N Sprinkle blog so you can take a look at it here.